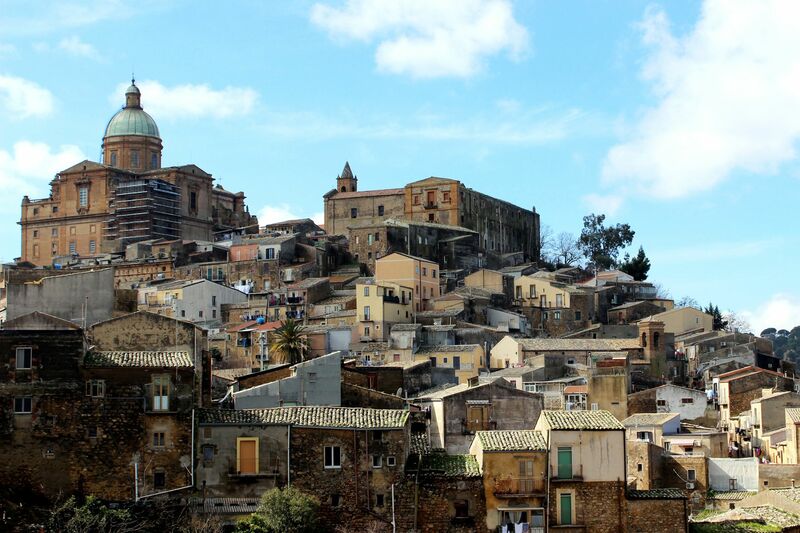 Piazza Armerina, despite being located far from heavenly beaches is one of the top Sicilian tourist destinations. Unfortunately for the city of Piazza Armerina (and also for tourists although they may be not aware of that) the focal point of “pilgrimage” is located few kilometers outside of the city limits. It is a Villa Romana del Casale – a 4th century patrician residence famous for its magnificent floor mosaics. While it’s true that the Villa Romana is a real treasure opening the “window” into the lavish world of Roman’s upper class at the peak of Imperium, it is also true that the city of Piazza Armerina itself deserves tourists’ attention. 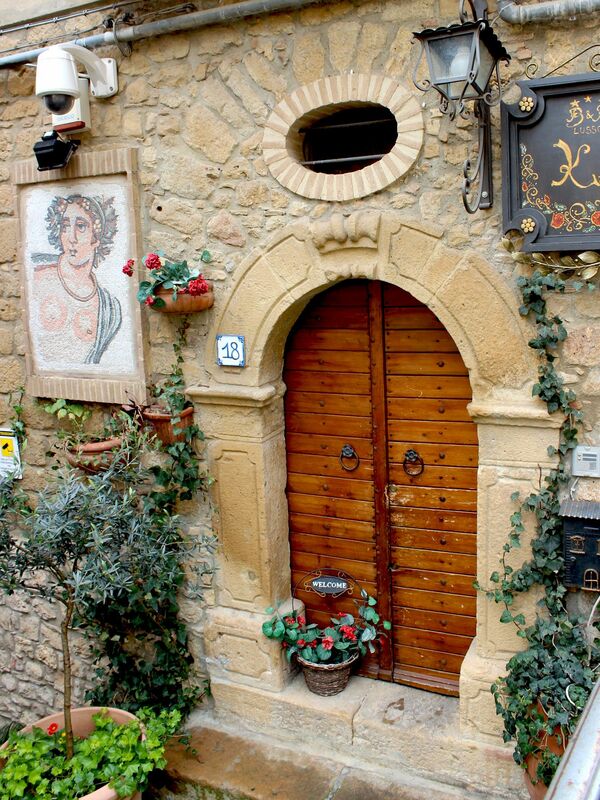 It’s difficult to say with certainty when the story of Piazza Armerina begins. Based on available documents most historians agree that it all started with its destruction by Norman king William of Altavilla (known also as William the Bad or shortly William I). Facing baronial revolts against the Crown led by Roger Sclavo combined with massacres of Arab population in 1161, William I ruthlessly crushed opposition. With it, “whatever” existed on the site of today’s Piazza Armerina was erased from the map (more precisely - from the surface). Records of this event obviously confirm that Piazza Armerina had its “predecessor“ although today we can be only guessing how far back we have to go to find the roots of an earlier “settlement”. Some speculate that a first settlement can be identified as an “elusive” Roman Platia (or Placia) or Byzantine Ibla (Hybla) Elatton. The famous Arab geographer Al-Idrisi mentioned existence of a fortified Saracen town “Iblatasah” on a Colle (Hill) Armerino. The fact that the Arabic word “Iblatasah” can be derived from Greek’s name “Ibla-Elatton” prompted many to believe that indeed Piazza Armerina originated in Byzantine times. Another vague document from mid- 1150’s suggests that the settlement destroyed by William I and called “Plateam Veterem (Piazza Vecchia) was populated by Lombards (who came to Sicily at the time of the conquest by Roger I in 1060s-70s’’). The known fact is that the construction of a new town on Mount Mira started in 1163. It received the name “Piazza” breaking this way continuity with assumed Byzantine and Saracen past. 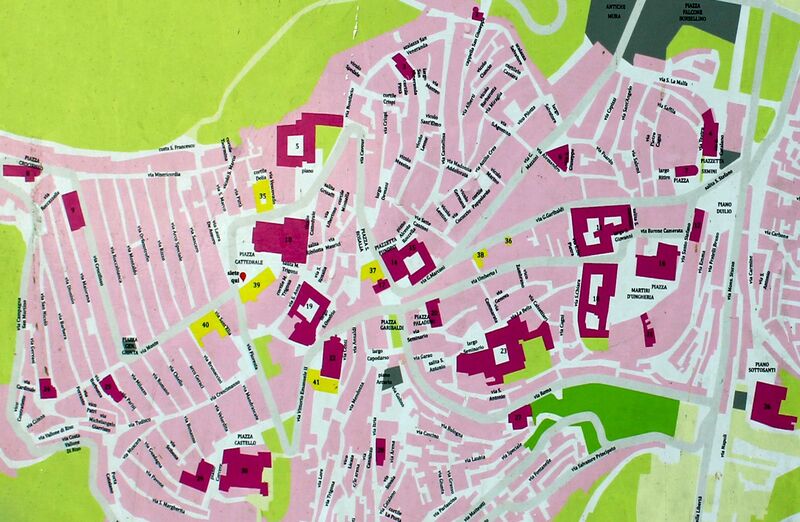 This fact reinforced speculations that in fact the city has Roman roots (“Placia”) or was simply reaching to the most recent history of “Piazza Vecchia”. 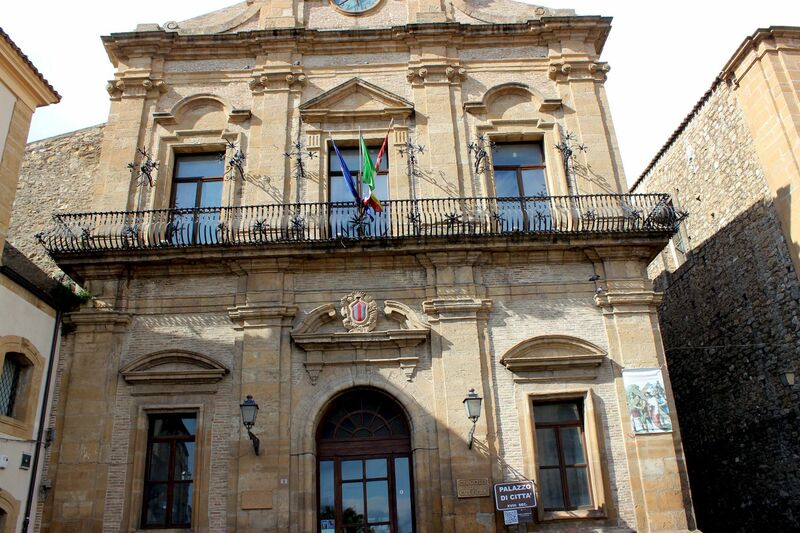 And just to finish with the name – the city of Piazza gained its current name Piazza Armerina in 1862 – shortly after the proclamation of the Kingdom of Italy. 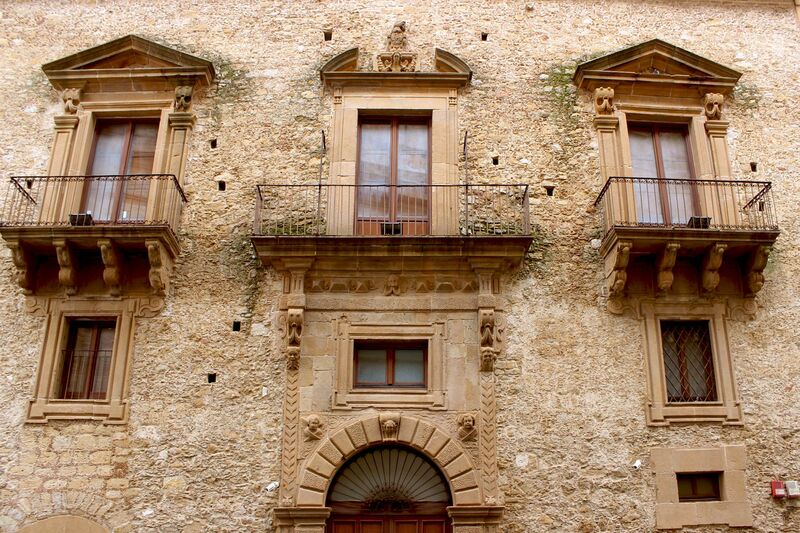 Piazza Armerina quickly reached the status of one of the most important Sicilian cities. The Swabian period starting in 1194 when the King Frederick took power was particularly prosperous for Piazza Armerina. 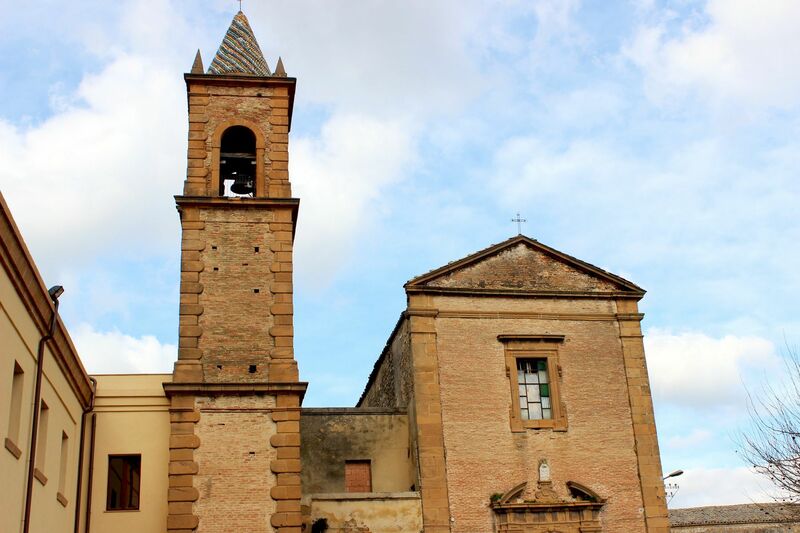 In the following years city saw construction of many churches (San Lorenzo dei Teatini, St. Andrew, San Martin…. ). Recognizing importance of the town, Dominicans opened the Monastery and hospices, also the Order of Templars (later known as Knights of Malta) established its presence…..
As the result, the city has myriad of historical monuments representing the wide range of architectural styles from Medieval Gothic, through Renaissance to Baroque. Piazza Armerina is picturesquely nestled on three hills at the level of about 700 meters above the sea level. Seen from the distance, the city is dominated by a majestic cathedral towered by equally imposing dome. Located on hills old town quarters of Canali, Casalotto, Castellina and Monte preserved typical structure and atmosphere of medieval cities. The labyrinth of narrow, cobbled streets lined by old sandstone houses, passages crowned by arches, richly ornamented facades make a fascinating area where medieval charm is still strongly resonating. 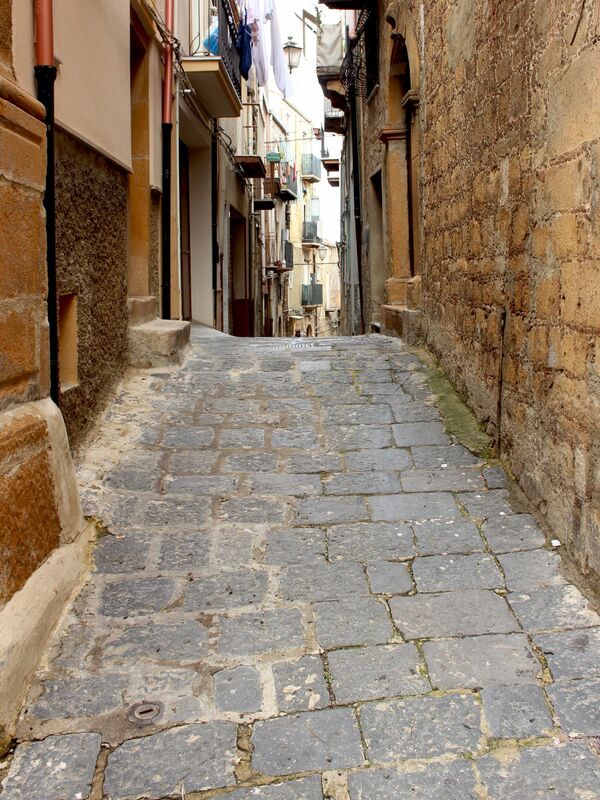 With its numerous palaces and churches, the old town is a powerful testimony to the past prosperity as well as nobility that for centuries had been making Piazza Armerina their home town. The list of most famous palaces includes: Palazzo di Citta (Town Hall), Palazzo Trigona (Trigona Palace), Palazzo Vescovado (Bishop’s Palace), as well as palaces Monastra, Capodarso, Mandrascati, Starrabba, Crescimanno, Geraci, S. Elia, Roccabianca, Demani, Molti…. . 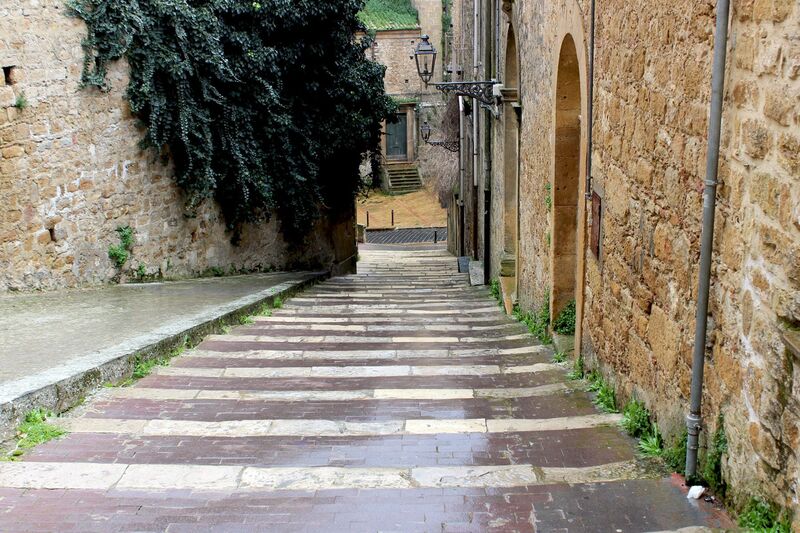 The 13th century Via Monte and surrounding area is certainly one of a “not-to-miss” if you wish to “savor” the medieval charm of the Old Town. The construction of Duomo started in 1604 and was completed with addition of the dome in 1768. The splendid cathedral was funded by Baron Marco Trigona. (BTW this is a clear difference between old-time “Nobles” (no doubt, often with “blood on their hands) and nowadays “moguls” with equally “dirty hands” but small hearts and extremely big (usually offshore”) accounts. The Cathedral was built on ruins of a 13th century Church of Santa Maria Maggiore. The lower part of the bell tower on the right side of the cathedral was actually part of the pre-existing church. 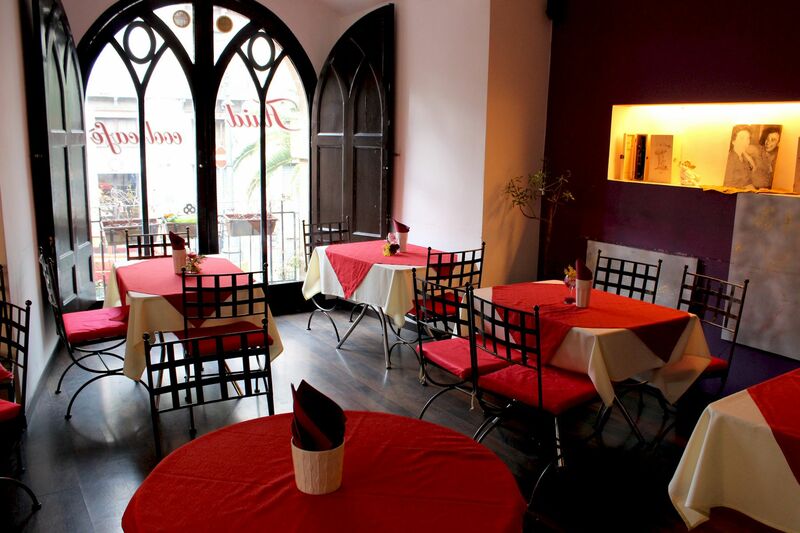 Now, stylishly integrated into the new structure with its strikingly exposed white, walled Gothic-Catalan style windows, it adds magnificence to anyhow impressive church. The sumptuous 17th century frontal portal including sets of spiral columns is a work of Leonardo de Luca. The cathedral was built on the plan of the Latin cross with main nave and separated by columns side aisles. Side chapels are decorated with early-17th century paintings of which the most valuable are “St. Benedict” and “Adoration of the Magi” both by G. Salerno, “Ascension of the Virgin Mary” by F. Paladino, “Death of St. Agatha” by J. Ligozzi…. . Noteworthy is also a 15th century painted wooden cross suspended in the transept. On one side it shows the traditional image of the Crucified Jesus, on the opposite side however the cross depicts the Resurrection of Jesus as a triumph of Life over Death. Cathedral’s most precious treasure is a Byzantine icon of Madonna of Victory (Madonna della Vittoria). It was the gift from Pope Alexander II to the Norman King Roger I for his “liberation” of Sicily from the control of Saracens (Moors). Museum was opened in 2001 in the 17th century Bishop’s Palace located on the left side of the cathedral. 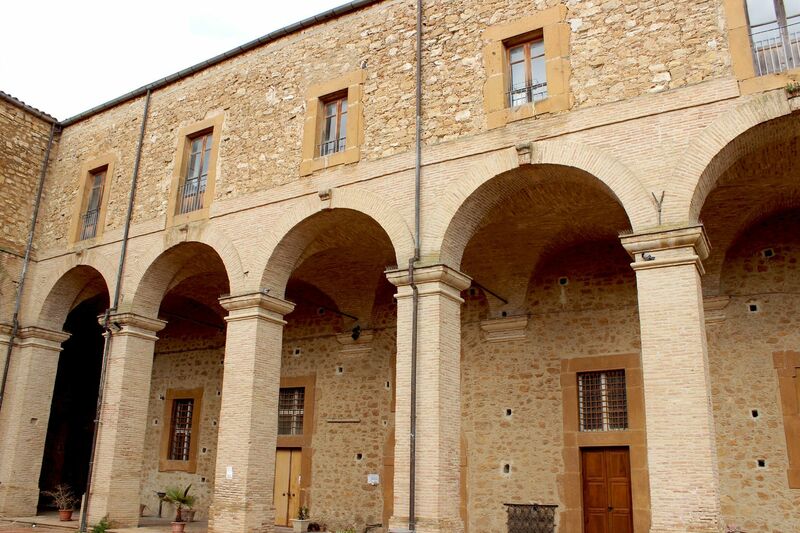 Ironically, the palace only for short period of time served bishops during their visits to Piazza Armerina. This did not change much even after establishment of Diocese in 1817. For long decades the palace was rather abandoned, or used for school. Today this modestly looking Mannerist-style palace houses permanent exhibition of religious art collected from churches belonging to the Diocese of Piazza Armerina. Valuable paintings, reliquaries, crucifixes and statues of saints are covering the period from 13th to 20th centuries. The exposition is grouped in thematic sections corresponding to Evangelization and Byzantine heritage, Norman period, Religious Orders, Council of Trent, Establishment of Piazza Armerina’s Diocese and Ecumenical Council of Vatican II. 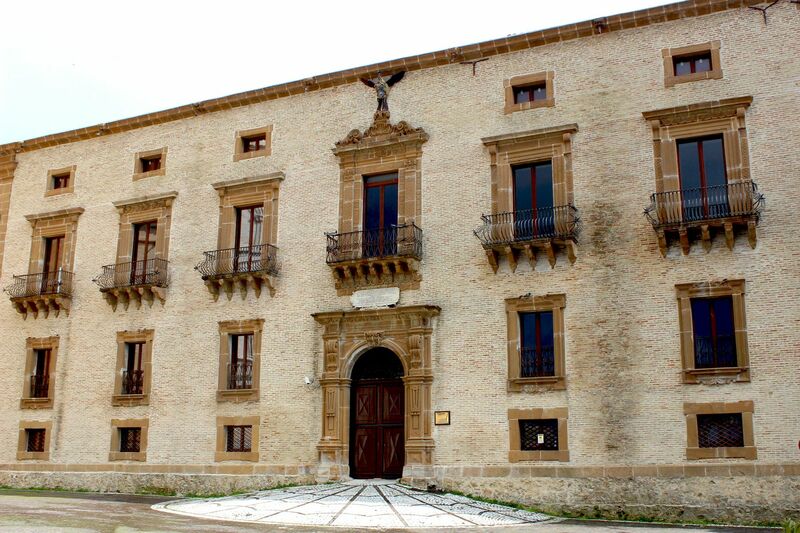 Palazzo Trigona (18th century) - once the residence of powerful and very wealthy family of barons of Carnicarao is located on the right side of the Cathedral. Due to its very modest if not “unimpressive” façade the palace is often unnoticed by visitors. 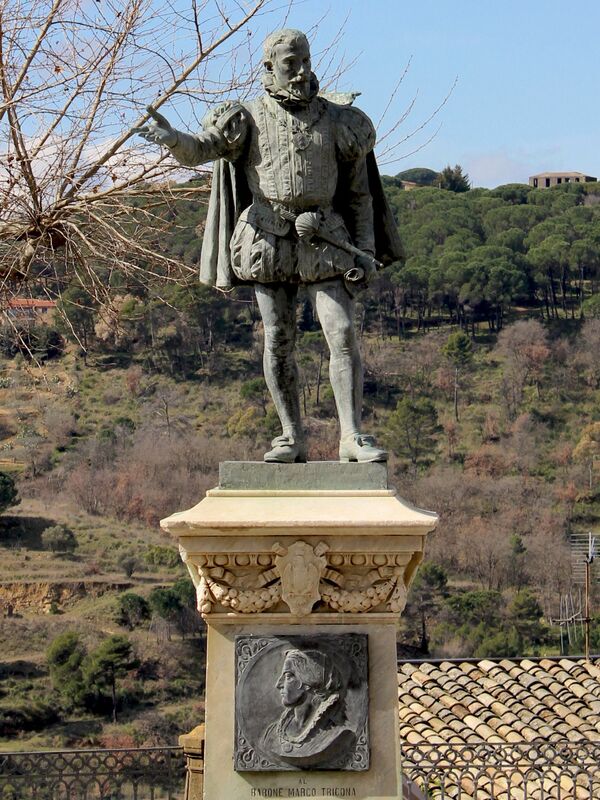 Sort of compensation for the baronial family is a statue of Baron Marko Trigona (commissioner of the cathedral) standing in the center of the Piazza Duomo. 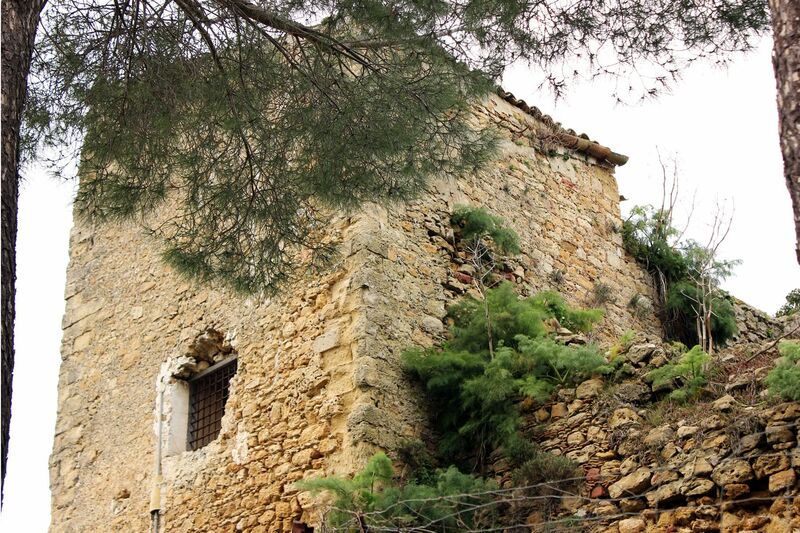 Currently, due to the poor condition the castle’s complex is not accessible for tourists. 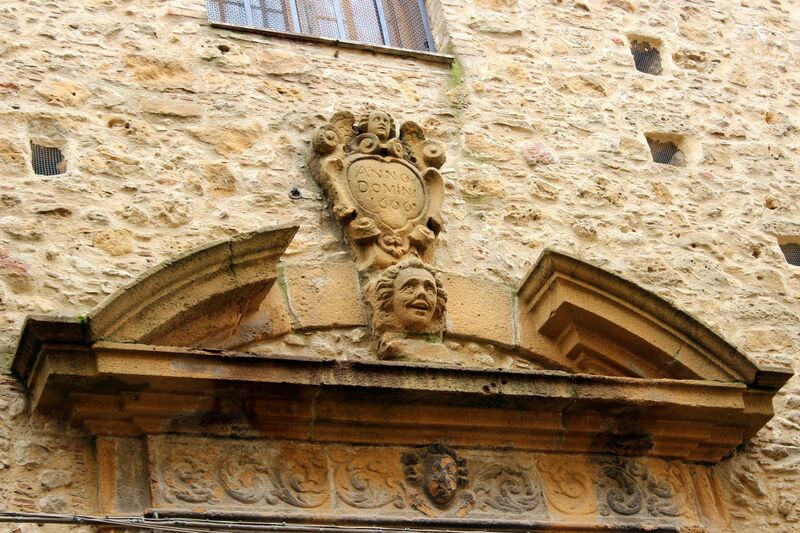 The complex built in 11th century was founded by Conte Simone Aleramico (father of infamous Roger Sclavo). It served as a military garrison and hospital for crusaders and pilgrims on their way to and from the Holy Land. 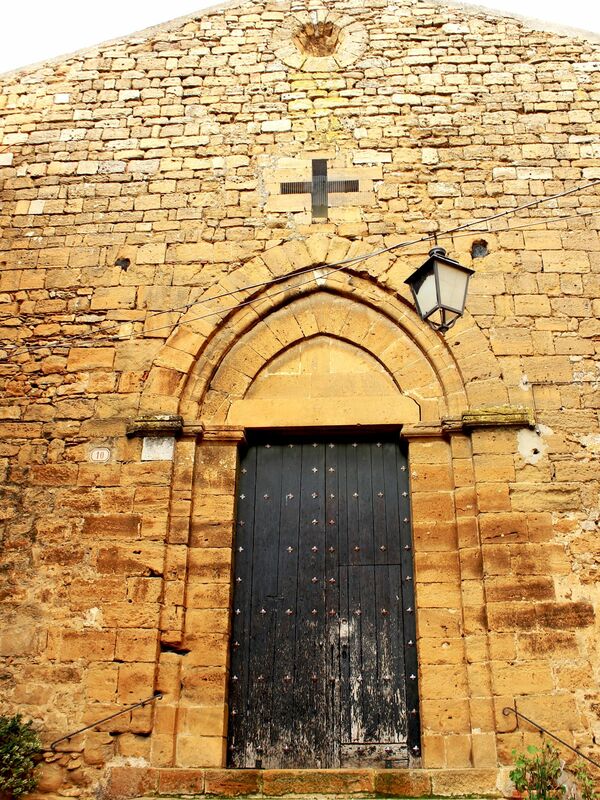 In 1420, the complex became headquarter of the Sicilian Branch of Knights of Malta. In 2007 the church (dedicated to St. John of Rhodes) was used by RAI (Radiotelevisione Italiana) to film the scenes from the life of great Italian painter and pioneer of Baroque – Michelangelo (Amerighi) Caravaggio. Another historical part of the town is located around Piazza Garibaldi at the intersection of Via Marconi, Via Umberto I , Via Roma, Via Cavour and Via Vittorio Emanuele. Here are located: Palazzo Municipale, Church of St. Rocco, Palazzo di Citta (Town Hall) as well as Palazzo Capodarso and Palazzo Demani. The church of St. Rocco (also known as “Fundro”) was built in 1613. 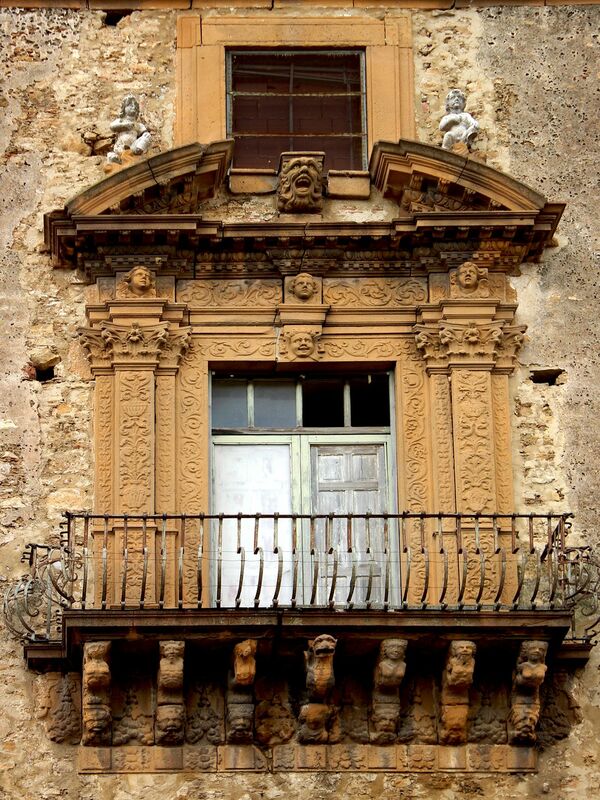 It brings attention with its magnificent baroque-style portal carved in a local limestone called “tufa”. The City Hall was built in 1773 and under Bourbons was home to city’s Senate (Municipal Council). Interestingly, today this beautiful baroque palace still serves as the meeting place for the City Council. 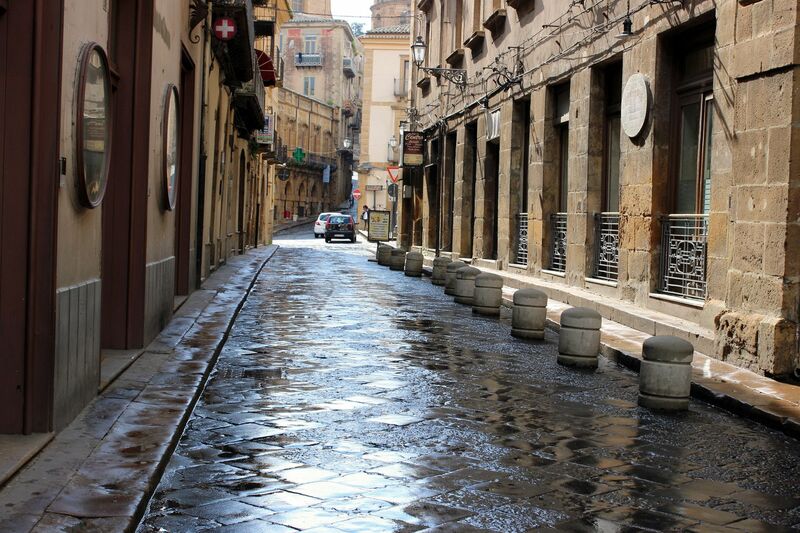 Via Umberto I leads to the vast Piazza Martiri d’Ungeria with some of the oldest historical buildings in the city. The center of the piazza is occupied by the imposing structure of the Church of Teatini. Originally built in 1142 as the Chiesa del Padre Santo it was rebuilt in early 1600s’ and dedicated to San Lorenzo of Teatini. Major part of the frontal façade and the tower is from the original church. 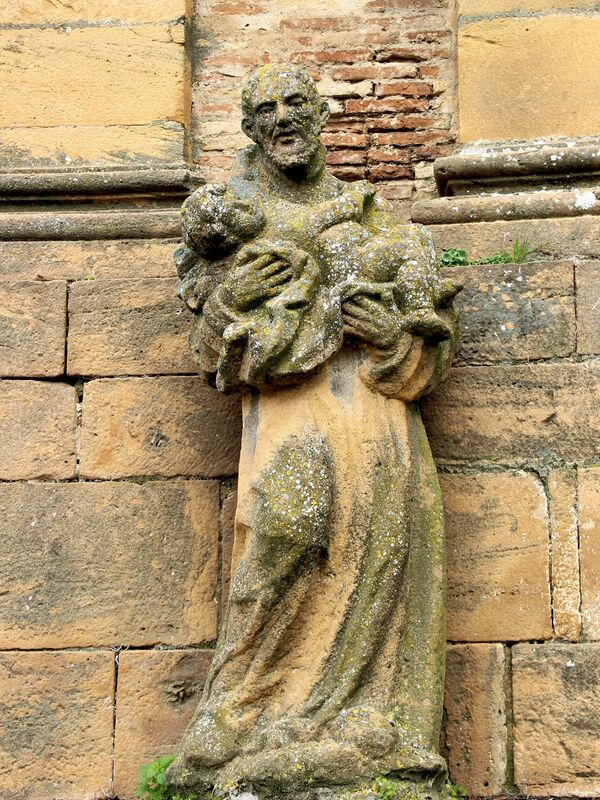 The sandstone portal is flanked by two statues representing St. Andrew Avellino and San Gaetano Thiene. 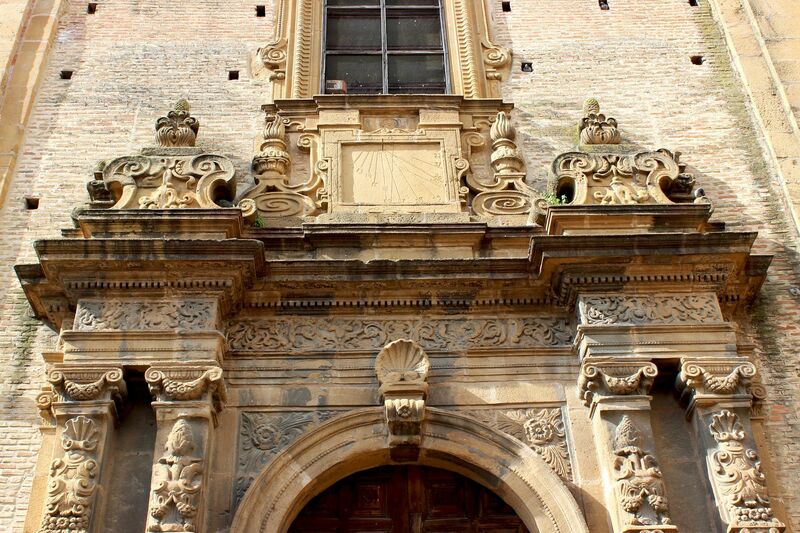 Originally they were standing at the nearby Porta San Giovanni, but once the gate was taken down, they found the “resting” place at the front of the church. Unfortunately, currently the Church Teatini is in the state of a “deep sorry” and nothing indicates that it may change in the near future. Actually, if no action will be taken – it may collapse sooner rather than later. 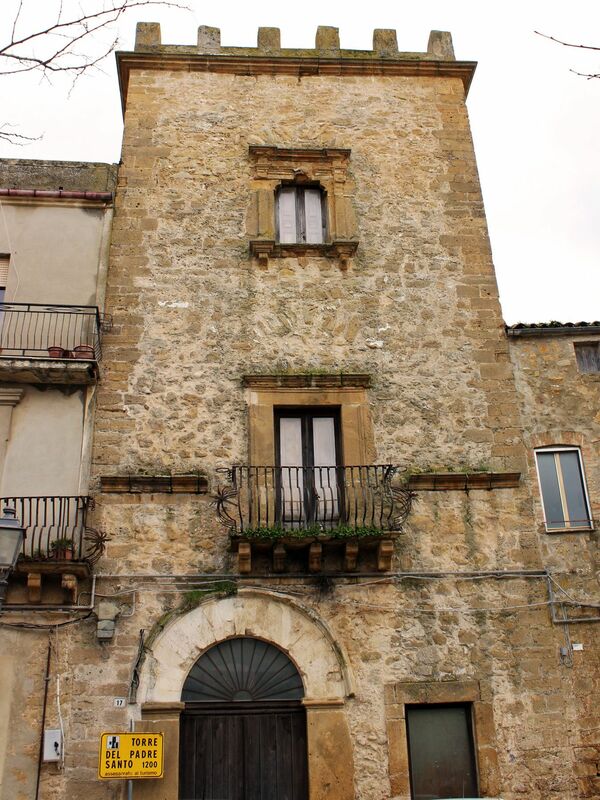 Facing the piazza is Tower of the Saint Father (Torre del Padre Santo). 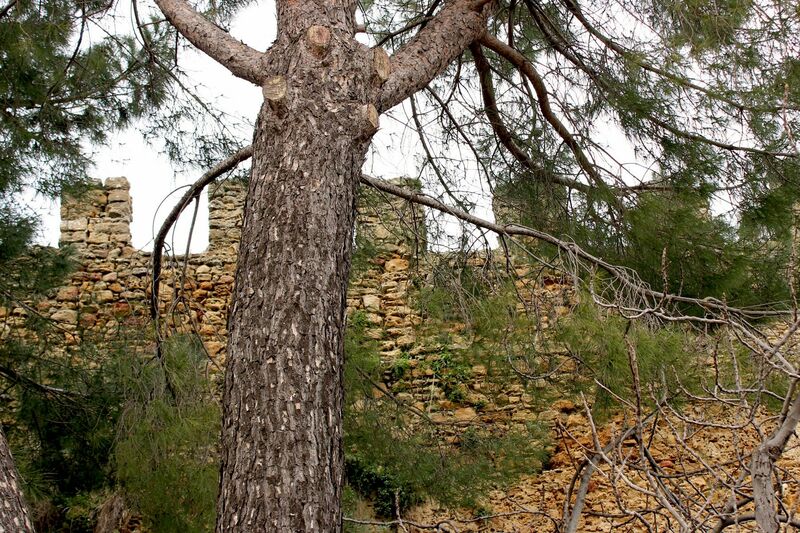 Erected around 1200, it was probably part of early fortifications or a patrician residence. A bit “younger” (although still with roots in the remote past) is the Church of St. John The Evangelist. Built in 1361, the church houses valuable frescoes of a renowned Flemish painter Borremans. 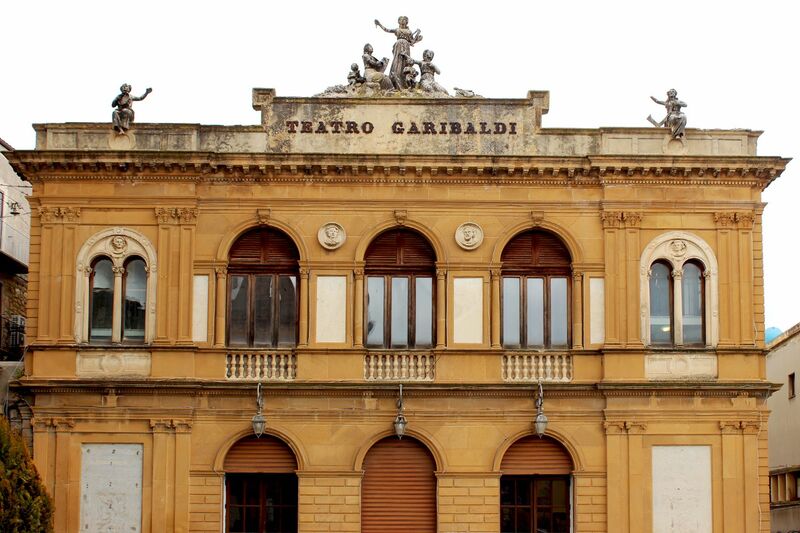 Worth to see is also nearby church of San Stefano, Teatro Garibaldi and the “Commenda” (Headquarters of the Knights of Malta). East from the Piazza Garibaldi along Via Vittorio Emanuele are two remarkable churches (some consider them as the most beautiful in the city). The 18th century Church of Santa Anna is a baroque structure built on an unusual octagonal plan. On the opposite side of the street is located the Jesuit College and adjacent to it the Church of Ignatius Loyola. Notable is its polygonal façade and marvelous two-sided stone stairs with balustrade leading to the entrance doors located well above the street level. Each year in the middle of August the city celebrates 2 days long festivity commemorating 11th century victories of Normans over Saracens. Known as “Palio dei Normanni”, the celebration begins on August 13th with the parade of King Roger’s knights on their horses through the streets of the old town. Parade finishes at the Piazza Duomo where city officials with trumpets and drums welcome “liberators” offering them the symbolic keys to the town….. The following day on the local stadium takes place a tournament with the presentation of medieval fights, horse riding skills and old traditions…. The next day - August 15, is a traditional day of “Madonna of Victories” (patron of the city). This is the nice part of the story – preserving our history and traditions. The sad part of it is the fact that the battle with Saracens ended with massive slaughtering of Arabs. Obviously in old times such events were considered as “godly” and worth of celebration, but thousand years later we should be able see it differently.